Strong residential, commercial and industrial growth are putting Sunriver, Three Rivers South and La Pine to the forefront in the minds of investors and those relocating to Central Oregon for work or play. Rising residential housing prices in Bend, a limited supply of buildable land for builders and developers and high permit and System Development Charges (SDCs) are pushing those seeking housing and investments to seek out South Deschutes County. The graph on page 11 of this issue of CBN shows cost comparisons and advantages for choosing these areas to move, start or grow a new lifestyle or business. Sunriver/Three Rivers South (the area between Sunriver and La Pine) offers greater acreage and lower residential home prices with local access to Crosswater and Caldera Resorts, nearby restaurants and breweries as well as easy access to rivers, mountains and less crowded paved and forest trails and attractions (mountain and leisure biking, horseback riding, golf, tennis, skiing of all types, snowmobiling, fishing and boating in lakes/rivers). Many homes in this area are on private community water and septic. Homes and building sites in outlying neighborhoods offer reduced homeowner fees and utility costs. Individually installed well and septic systems offer lower monthly bills with low reporting of nitrate or mineral colored water issues. Throughout Sunriver, significant capital improvements are completed or are in progress to increase property values, availability of homes and land to build affordable housing and expansion of resort and residential communities. 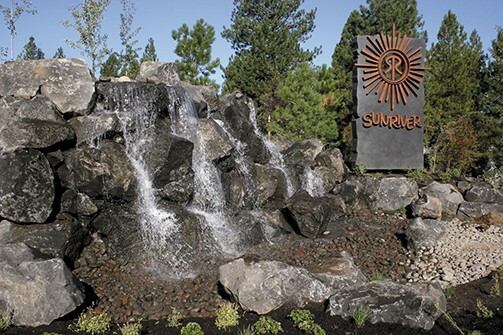 According to the Sunriver Owners Association (SROA) in the last five years more than $50 million has been invested back into the community by SROA owners, Sunriver Resort and The Village at Sunriver. The Sunriver Nature Center & Observatory has begun a capital funding program to expand and remodel their facilities in the next couple of years. Sunriver itself is surrounded by 5,500 acres of trees and meadows of High Desert country, surrounded on three sides by the Deschutes National Forest and bordered by over six miles of sparkling Deschutes River. Those who have discovered the Sunriver area enjoy the peace and changing scenery of year-round recreation. Over one million visitors a year are drawn to Sunriver for its renowned Pacific Crest athletic competitions, the Sunriver Music Festival and the numerous tennis and golf championship events. Sunriver and Three River South’s 26 distinctly different residential neighborhoods offer high value, low turnover if compared to how close you are to a myriad of recreational choices per acre and square foot prices for larger homes on larger acreage. SROA maintenance fees are the lowest in all of Central Oregon. La Pine is undertaking a major branding and marketing campaign with a grant from Travel Oregon and City of La Pine. The City is implementing an urban growth renewal plan with improvements planned for Highway 97 and Huntington Road. Recently, a La Pine Housing Roundtable was held to discuss builder and developer opportunities and obstacles to building more single family and multi-family homes in the area to accommodate increasing demand, especially with the growth of new businesses anticipated. A follow up housing forum is planned for late June. Median home prices in La Pine are $188,000 with a price range of $100-$150 per square foot. The greatest current housing need is for one and two bedrooms with a rental rate of $700-800 per month for single parents and the workforce. 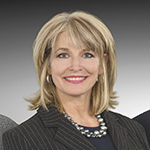 According to Janet Burton, La Pine area economic development manager for Economic Development for Central Oregon (EDCO), La Pine looks forward to considerable growth over the next few years. Mid Oregon Credit Union’s building will be completed in June and plans are in place for St. Charles’ Medical Center in the fall of 2017. Grocery Outlet will bring additional shopping options to La Pine and plans are being developed for a major expansion at Gordy’s Truck Stop. The City’s urban development plan is underway and evidence can be seen with the stoplight on Highway 97 and the new streetscaping. Finley Butte Industrial Park and Newberry Business Park are located in the Deschutes County Rural Enterprise Zone with three to five years of tax abatement available to qualified businesses. There are State Certified Industrial Lots available with the park. Midstate Electric Cooperative has attractive incentives depending on construction costs and power loads. Over the last six months the City and EDCO have received numerous calls from people with interest in buying land in Finley Butte Industrial Park and Newberry Business Park. Deschutes County owns approximately 140 acres of available land in the industrial and business park. This land is managed through an intergovernmental agreement by the City of La Pine. La Pine boasts the lowest land cost in Deschutes County and some of the lowest in Central Oregon, as well as the lowest SDC costs in Central Oregon. All in all, as a homeowner, investor, builder or developer — it pays to look into and benefit from the low vacancy rates, larger parcels, reduced prices to own or build and myriad of incentives, natural resources, amenities and attractions that abound in the Sunriver, Three Rivers South and La Pine communities.